Explore, build & battle in a fantasy world! Welcome to Woodfel, adventurer! 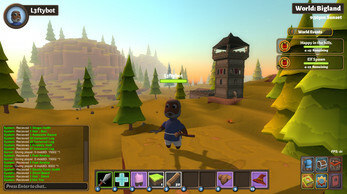 Woodfel is a multiplayer, sandbox building & crafting game, currently in development. 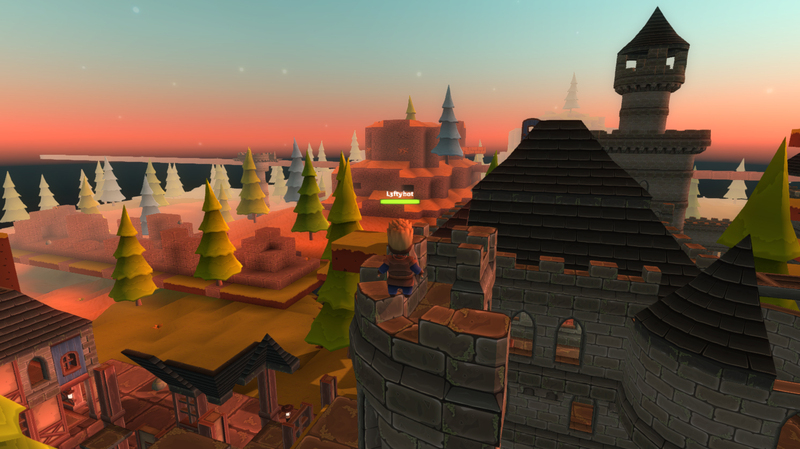 When you jump in to Woodfel you will find yourself in a procedural world filled with resources, ancient ruins & monsters. Gather resources from around the world and by defeating creatures to use in crafting! You can craft from a vast array of recipes; from weapons and vanity appearance items, to structure items for building! Across every Woodfel world will be secrets to be found and landscapes to be explored; Rare boss creatures will be found hidden in underground dungeons, and who knows what wizards guard in their lofty towers! Each world will feel alive with world events occurring regularly. 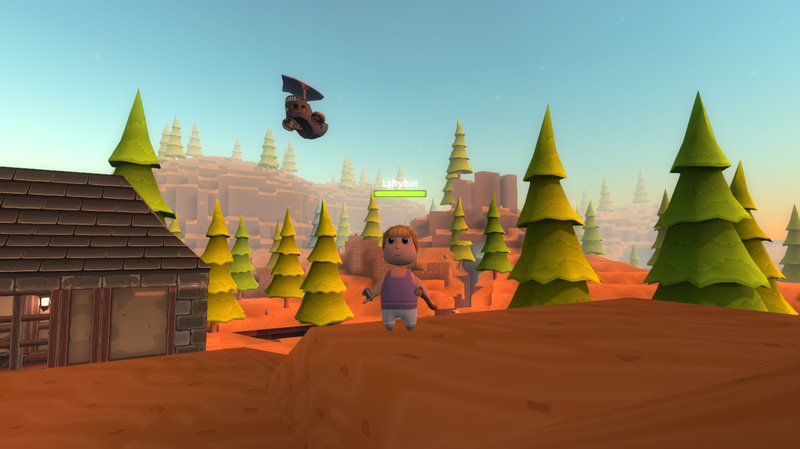 Rare creatures will spawn which can drop some awesome loot, meteorites will fall to the earth carrying precious minerals for use in special crafting recipes, and much more! 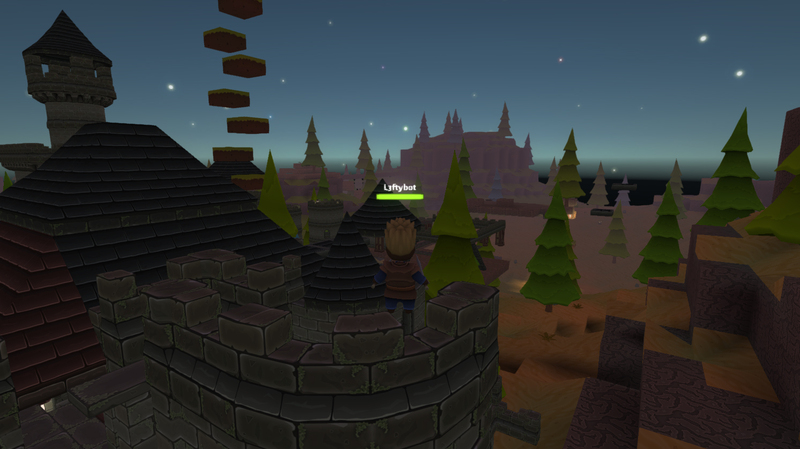 Woodfel is currently in pre-early-access development, which means features may be in an early state with bugs & issues and not all content has yet been implemented or balanced. However that just means the game will only improve over time! I hope you'll give the game a try and if you enjoy it or have any feedback let me know. Recommended Minimum System Specs: Intel Core i5, 8 gig Ram, Dedicated GFX card. 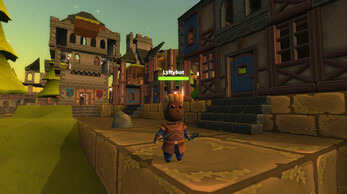 L3ftybot develops Woodfel in his spare time, and by day is a 3D Artist at a games company in Scotland. 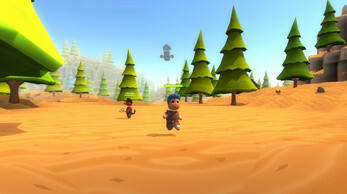 He has 12 years experience in the game development industry, and has previously released one title; a shoot-em up called Arc War for Android & iOS.